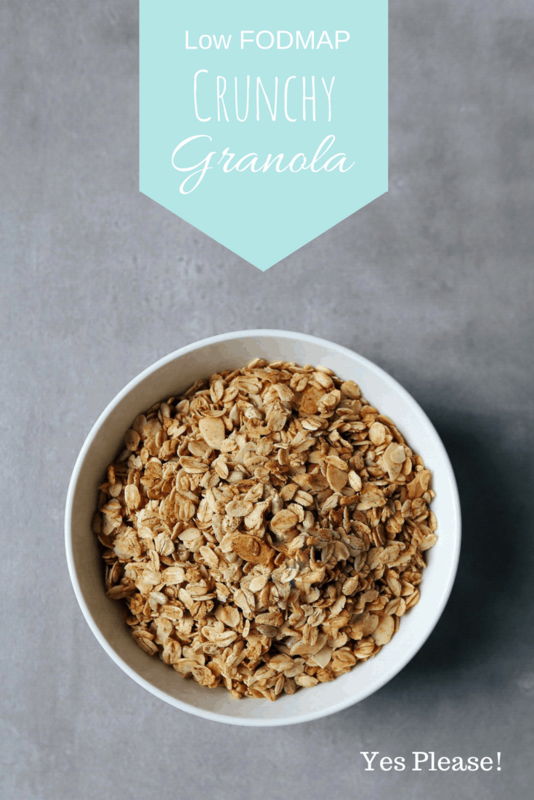 Are you having trouble finding a low FODMAP granola recipe? Granola is an awesome food. It makes a hearty breakfast and doesn’t need to be refrigerated, so it’s the perfect snack for activities like hiking or camping. The problem with this wonder-food, though, is that it’s normally high in FODMAPs. Made with honey and high FODMAP nuts like walnuts and almonds, granola can send your system for a loop. If you’re a die-hard granola fan, don’t worry. 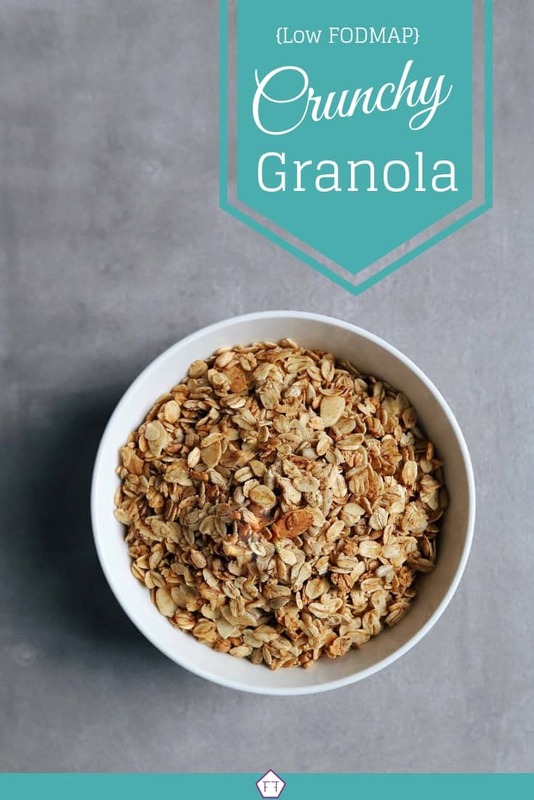 This low FODMAP crunchy granola will fill you up without upsetting your tummy. You’re going to love the deep, earthy flavour of this crunchy granola. Toasting the oats and nuts gives it a wonderful crunch, while the combination of maple syrup and cinnamon give it a deep, rich flavour. If plain granola isn’t your thing, this also makes an amazing cereal. I normally add lactose-free milk and half a banana to a single serving of granola. When the cinnamon mixes with the milk, it mellows out the flavour, but it’s still absolutely delicious. Think this low FODMAP crunchy granola sounds great, but you don’t have time to try it now? You can PIN THIS POST for later. 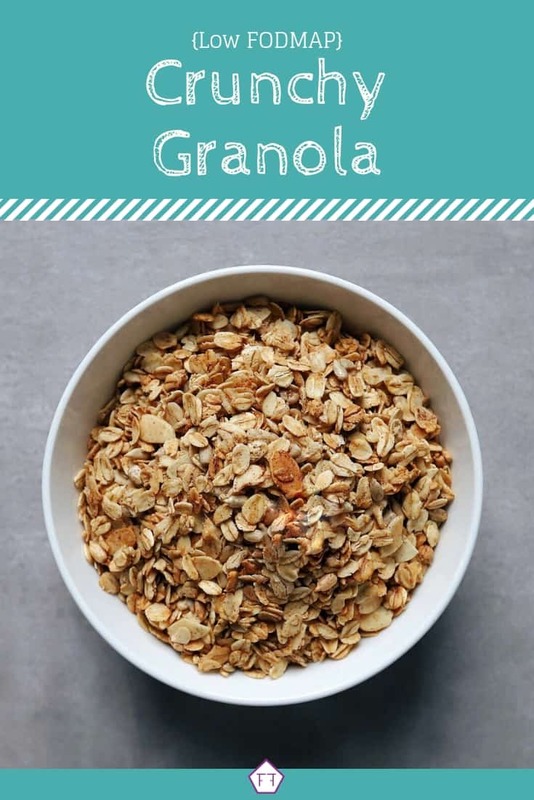 This low FODMAP crunchy granola is a great way to add some fiber and protein to your diet. 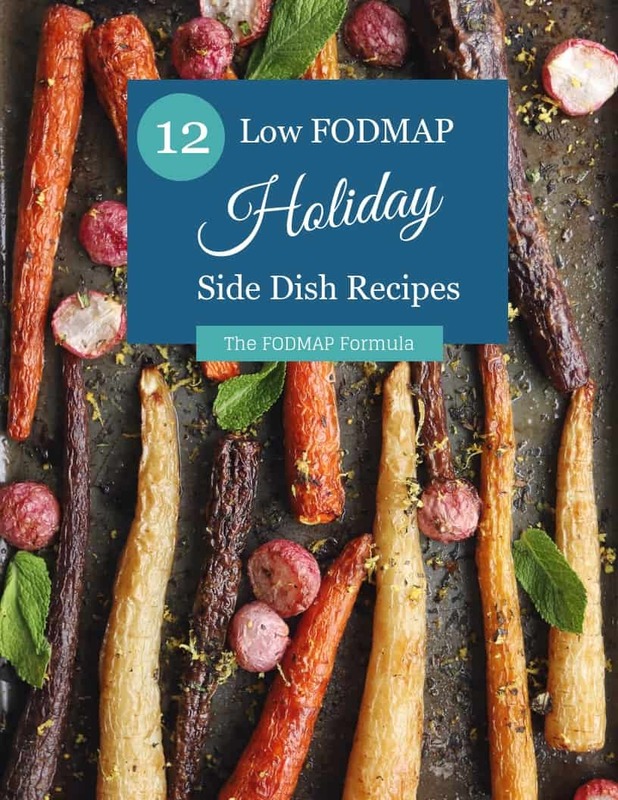 Check out the notes below for tips on keeping this recipe FODMAP friendly. 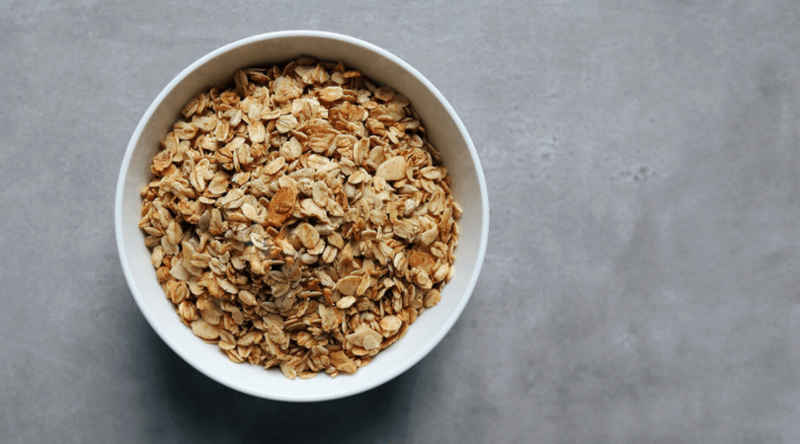 First, according to the Monash app, rolled oats are safe in servings of 1/2 a cup per sitting. This means in the elimination phase, your maximum serving is 1/2 a cup. Servings of 3/4 cups or more are high in fructans and galactooligosaccharides, so measure carefully. Some people have trouble digesting oats. If you’re not sure how you’ll react, or you know you are sensitive to insoluble fiber, start with a serving of 1/4 cup and see how that goes. 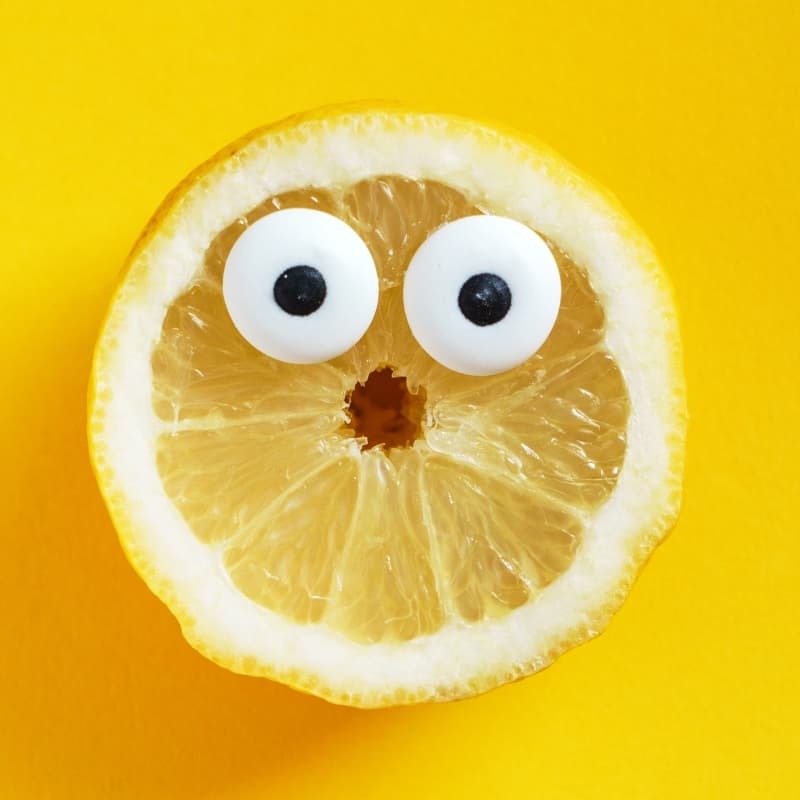 If you want more information on IBS and fiber, check out this article by Stephanie Clairmont. This recipe also uses almonds and sunflower seeds. Monash University says almonds are safe in servings of 12 g (about 10 almonds). This recipe uses 1/4 cup of almonds, which works out to 3.4 g per serving. Which is within the recommended range. Our final ingredient is sunflower seeds. Monash recommends using 2 tbsp of sunflower seeds per serving. We use 1/2 a cup of sunflower seeds for this recipe, which works out to 1 tbsp per serving. This is within the recommended range. Think this low FODMAP granola sounds like something you’d enjoy? Don’t forget to PIN THIS RECIPE for later. 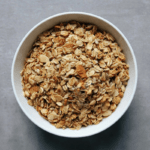 Check out this low FODMAP crunchy granola! With a deep and hearty flavour, this granola will keep you filled up all day long. Mix all ingredients in a large bowl. Transfer to baking sheet and bake for 35 minutes, stirring every 10 minutes. This recipe is delicious as a cereal. Enjoy it with lactose-free milk and a FODMAP friendly portion of fresh fruit. 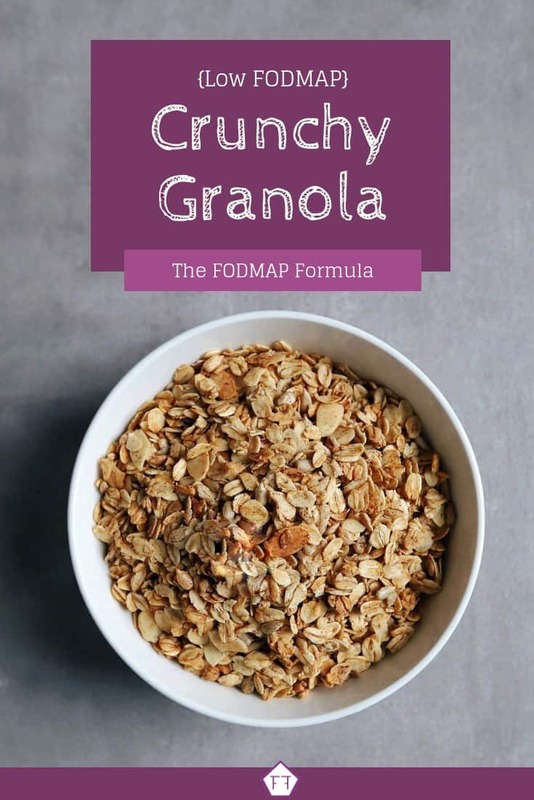 I hope this low FODMAP crunchy granola helps keep you full from breakfast to dessert. If you like this recipe, sign up for my mailing list below. You’ll get new recipes and articles delivered right to your inbox.